Global NGO UNICEF says proper sanitation is a human rights issue that needs urgent attention. Earlier today in Durban, the organisation, together with Unilever South Africa entered into an agreement to deal with poor sanitation in the country's schools. 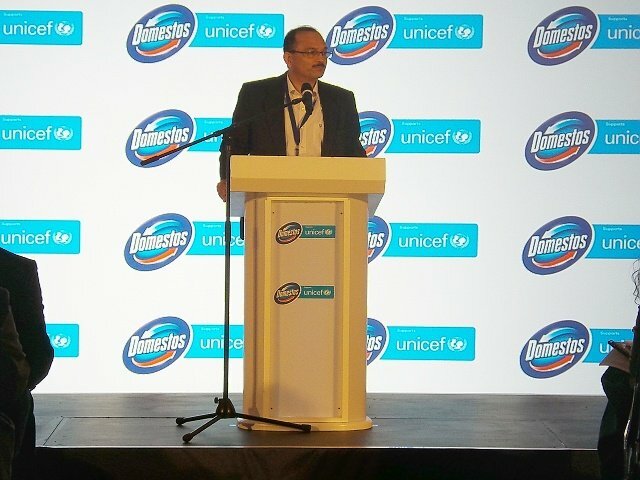 Unilever global's Nitin Paranjpe says children should not be denied the right to education because their schools lack private and decent ablution facilities. ''The research shows that basic things like hygiene, access to sanitation is a source of disease and illness - diseases like diarrhoea,'' he said. Primary school pupil, Amanda Busane from Waterloo Primary School - which has benefited from renovated school bathrooms says the initiative has restored their dignity. ''We've got brand new toilets, soft fluffy toilet rolls, clean smelling toilets, air fresheners and every single person associated with this name - I say a humble thank you to them. Ngiyabonga,'' she said.